While a concrete lesson plan can aid in any teacher’s successful classroom curriculum, devising an organized education strategy for pre-kindergarten students tends to require a bit more strategizing than usual. Although pre-kindergarten isn’t a required educational step, it’s an extremely common – and pivotal – learning point for youngsters. Children is a preschool class are not merely being introduced to concrete foundations in colors, shapes, numbers and concepts– they’re being introduced to life beyond the comfort of their home nest. Pre-kindergarten provides an invaluable stepping stone for young children transitioning from the comforts of home, to a more independent schooling structure. That being said, utilizing this incredibly pivotal learning point to its fullest extent is crucial. Pre-kindergarten instructors must be the wearer of multiple hats: educator, babysitter, mentor and parent – all while delivering quality, thorough instruction. 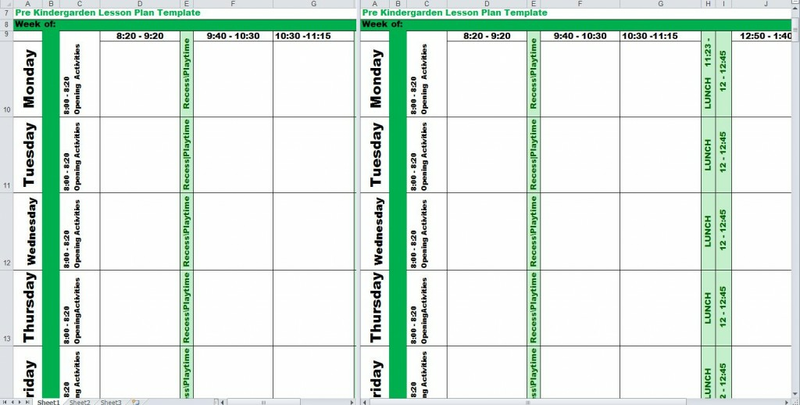 With the Pre Kindergarten Lesson Plan Template from ExcelTemplates.com, early childhood educators can organize and expand upon their teaching efforts with a single, organized tool. 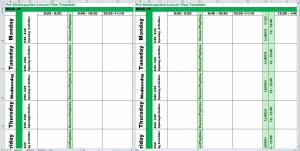 Brainstorm, map and outline a series of lesson plans by a weekly basis. Have the freedom to alter lesson plans per individual and class. Excel is an easy-to-operate, interchangeable organizational tool that can be changed per an educator’s wishes. Document major success – and major struggles. Be sure to provide a detailed description of your lessons. Most school districts require documentation for preschool education, so try to be as thorough and honest as possible with your assessment and logging.